Feng won last year's tournament in Dubai. The Olympic Games bronze medalist – she prefers calling it ‘rose gold medal’ though – has been in sensational form ever since her podium finish in Rio. In her last seven starts, she has won twice and never finished outside the top-10. Before Rio, the world No4 played 14 tournaments on the LPGA Tour, finishing top-10 in just three of them, with her best finish being a fifth place. “Playing with all these young players make me feel old. I’m trying to get used to it because even on the LPGA Tour now, I mean, you look at Lydia [Ko], Brooke [Henderson] and Ariya [Jutanugarn], they are all below 21,” explained the 27-year-old, who is the most successful player in the history of the tournament, having won it three times [2012, ’14 and last year]. “They are so, so young, and they are actually able to hit the ball so far away. Five years ago, I was actually kind of a long player on the Tour, but not anymore. It’s like all the girls are like 20, 30 yards past me and I’m always the first one to hit and that just makes me feel old. “I would say this first half of the year, I was struggling because I was trying to compete with all the girls. I was like, I have to keep up the distance with them and I have to try to compete with them. I put myself under too much pressure and I forgot how to be Shanshan. “The Olympics was a very good breakthrough point; that actually picked up my confidence again, and taught me I’m still Shanshan. I’m still a good player. I’m still able to win on the Tour. 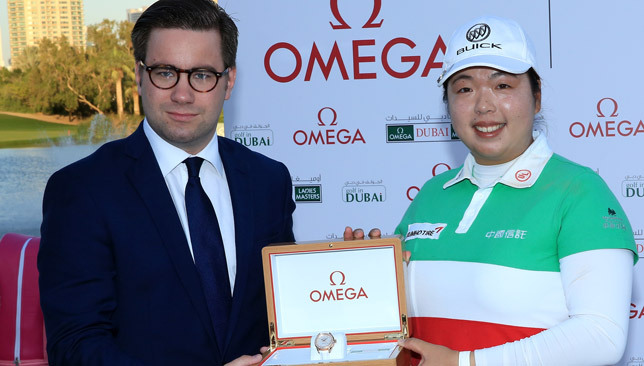 Feng, though, blamed the Olympics for the fact that she could not play the mandatory six events needed to qualify for the Ladies European Tour Order of Merit. She could have secured the rankings crown as she is second behind leader Beth Allen in just four starts. “Last year I knew that I had a very good chance to win the Order of Merit. So I actually pushed myself to play a couple more LET events last year. But this year was different, because this year was the Olympic year. So because of the Olympics, actually I had to skip a lot of tournaments, even on the LPGA,” Feng said. The competition will be fierce this year. 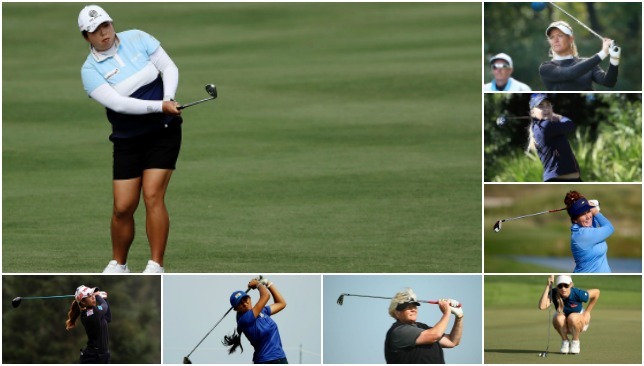 The upcoming Dubai Ladies Masters 2016 is expected to be thrilling affair for all golf lovers. Here we bring you a list of eight stars to watch out for as the competition kicks off on December 7. The three-time champion, also the highest-ranked player in the field, will be facing a tough competition from her competitors. Feng is also the defending champions and an Olympic bronze winner. She would be wanting to make a good return on one of her happiest hunting ground. Pettersen will have a fantastic showdown on her hands against Feng, when the tournament begins at Emirates Golf Club. She has a great LPGA season behind her too. She is a two-time major champion and will be making her Dubai debut. The 20-year-old captured the Ladies Professional Golf Association Tour championship and should impress at Dubai too. Having already secured the LET Order of Merit for the year, Allen will be looking to put the icing on the cake when she sets her eyes at Dubai Ladies Masters. A win would just be the perfect finish to the year. The LET Rookie of the Year and also a winner of back-to-back titles before the coming Dubai Masters. She has moved up the Order of Merit and a good performance at Dubai will be a fitting end to this year of hers. With what will be her 10th straight appearance at Dubai Ladies Masters, Davies just does not look like she’s done just yet, at 52, proving age is just a number. Spiranac, had a forgetful last visit to Dubai. Although she has said that she is more motivated and the experience with cyberbullying has made her tougher. Spirinac always attracts plenty of eyeballs. The Thai star is a LPGA Tour player and having won the tournament in 2013, could turn out to be a fine competitor for the crown this time. Paige Spiranac has spoken out about being subjected to cyberbullying ahead of the Omega Dubai Ladies Masters at Emirates Golf Club this weekend. Her comments were showered with an outpouring of support on social media. @PaigeSpiranac @Sport360 @OMEGAGolfDubai @EmiratesGC @LETgolf screw the haters and keep doing what you do n that's being an awesome person!! @PaigeSpiranac @Sport360 @OMEGAGolfDubai @EmiratesGC @LETgolf stay strong! @PaigeSpiranac I hate that you have to experience that stuff, but know that you have way more people who support you. Don't let'em win! @PaigeSpiranac Good for you. Just shows you how many losers are out there with nothing better to do. Don't even give them a second thought.